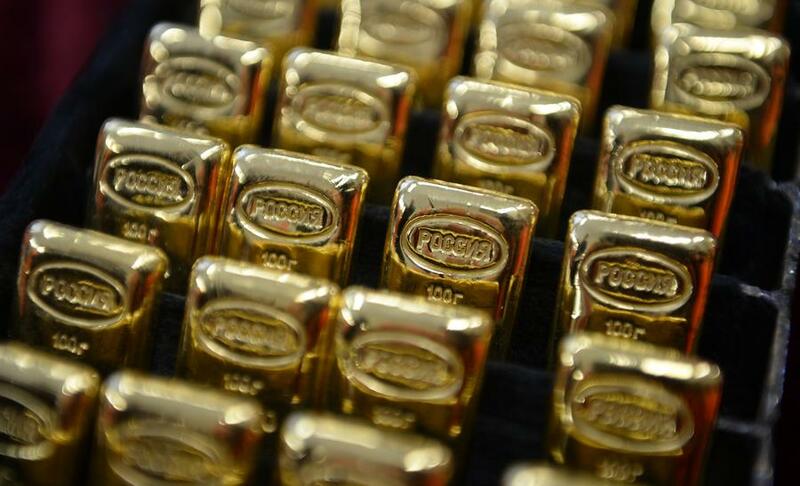 There are at least 17 gold deposits in Russia. The majority of them remain active except for some in which gold mining is not conducted, particularly the one that has drawn the attention of the media lately has been the “Suhoy Log”, located in the Irkutsk district. To develop this gold deposit it is needed a large investment, something quite hard without support from the government. That is the main reason why this potential source of gold is waiting in the wings. The authorities of the Irkutsk district approached the problem in the following way: they have decided to put the deposit up for auction. The interest in the Suhoy Log deposit has spread around both local and foreign gold mining companies, for instance, Polyus Zoloto, “Bazoviy Element”, Barrick Gold and Highland Gold Mining. The deposit was discovered in 1961 and has been thoroughly researched during several decades. The main problem why gold mining is not being conducted, in spite of the fact that the amount of yellow metal contained in the mine is more than that in other gold mines in Russia, is the low percentage of gold in proportion to other minerals makes the mining quite complicated. However, the research conducted in 2006-2007 led to find the ideal technique for the mining of the deposit. Perhaps the research will continue and therefore, the participants of the market have to keep track of events, as such event as the opening of a new gold deposit is the essential factor, influencing the gold market. Share this piece of news with others in order to take right decisions in buying gold!